places an almost westernised sense of aesthetics within the context of what has become a distinctly Japanese genre; the modern Wizardry-style dungeon crawler. And the result is a grim world to explore, with horrific demon-like monsters clashing against the cold steel of European armour and weaponry... mixed with the odd moment that is distinctly Japanese. Your mentor through the initial stages of the game is a cute girl in a school uniform, for example. Related reading: For a second opinion on the game, check out Pierre-Yves' take on the Xbox One version. Things get even darker when you realise that the world you inhabit is something of a purgatory. You are a “survivor” of a plane crash, though it’s immediately evident that you weren’t actually a survivor at all. Instead, you’ve wound up in city filled with similar souls, and surrounded on all sides by deadly dungeons and brutish creatures. Your goal in this purgatory is to band together with a group of other souls, tackle especially powerful creatures, defeat them and claim their unique essences, which can be provided to one of three God-like beings back in the city for more power… and some consequence depending on who you direct your tithes to. It’s not really a spoiler to say that none of the three are necessarily “right” or righteous, because in an adventure like this there are no winners. All of this takes place within the framework of an Experience Inc. dungeon crawler. Though Experience isn’t as well known as some of the other players in the ‘crawler space, such as Atlus with its Etrian Odyssey series, it is a specialist in the genre, and many would prefer this studio’s output, I suspect. Demon Gaze was a really clever JRPG, effectively merging anime-focused JRPG tropes and storytelling with some of the most gorgeous dungeon environments and enemy designs that we’ve ever seen. 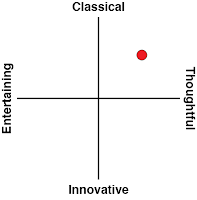 Consistently this developer has been able to take a highly traditional genre, and innovate within it, while still remaining faithful to what people like to see in the traditions. Stranger of Sword City is very much in that vein itself. On the most basic of aesthetic levels, this is one utterly beautiful game to witness. From the fine details in the foreground to the breathtaking backgrounds, and intensely creative enemy designs, this is one of those games where making progress is exciting simply to see what the game can throw up next. Though it all plays out in first person, and all you’ll ever see of your heroes is their character portraits, the detail that has gone into them means you’ll have a strong sense of ownership over them and companionship with them anyway. You’ll be creating these characters from scratch, and they won’t have any dialogue (and thus narrative-driven personality), but fans of old school ‘crawlers will appreciate that, as that is how things were done in the past. There’s enough character to the world itself to help drive the experience forward for people who like their games to rely a little less on imagination. At the same time, the game’s visual design might leave you a little more cold than you might have been playing Demon Gaze, and that’s because it’s a downbeat game and constantly wants to remind you of that. The art style supports the mechanics in this way, where the sense of danger is real and persistent. Characters have a set number of “life points”, and once they reach zero, that’s game over for that particular character. Younger characters of age ten through early twenties will have more life points, but will lack for strength and breadth in skills, making them less useful in a scrap. Older characters are powerful, but with fewer life points they’re glass cannons. Each “death” in combat will immediately remove one life point, and if the tally hits zero the character disappears into the ether. Life points can be recovered, but require an awful lot of in-game rest time, during which that character is unavailable to the party. In short it means that you should avoid having your characters wiped out by an enemy, which is simple and logical enough, but it’s also one of the most fair ways of doing permadeath I’ve ever seen in a game. In other games that feature permadeath – Fire Emblem, for example – the system is purely punitive – play badly or get unlucky and it’s game over for the hero. 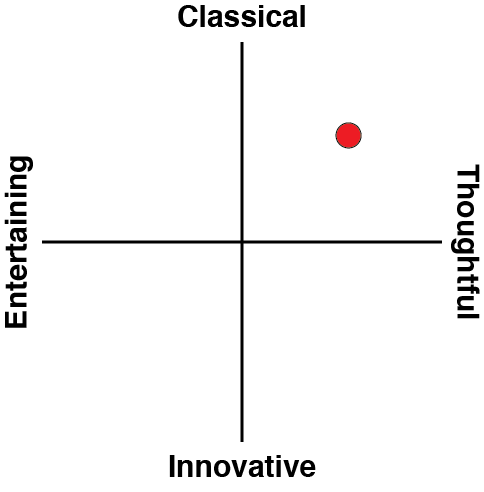 Here, though, it’s a more thematic system. 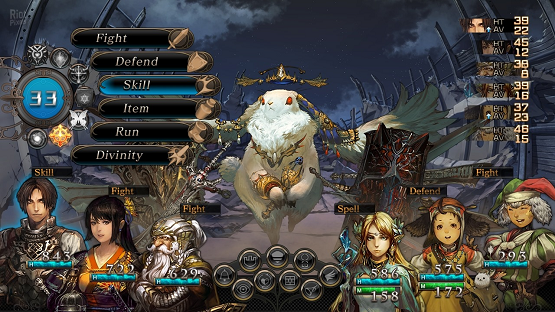 The whole point of Stranger of Sword City is to fight for the lives of your characters, and the only way to do so is to put their souls on the line. This is a risk, and sometimes risks don’t pay off, but a game that doesn’t give you a second chance will discourage risk taking. Here, in most chances, your character will get that second chance, without the game losing the real threat that reckless play will mean hours of careful character development is lost. The other bit of innovation that Stanger of Sword City brings to the genre, which is equally thematically fitting, is the relative scarcity of equipment, which mandates that you play the role of bandit at times. Equipment that can be bought through the traditional shop is limited and expensive. Instead, the good loot is held within chest that convoys of monsters carry around. Throughout dungeons you’ll find ambush opportunities, and after setting one up, a group of monsters guarding a chest will show up. Decide to spring the ambush and you’ll have a few rounds to take out the leader of the convoy before he escapes with the chest. Kill the monster, and the chest that is left behind becomes your best chance of acquiring powerful new weapons and items. Though Strange of Sword City doesn’t make anything of this through its narrative, the morality of these ambushes are an interesting thing to consider. Banditry is, of course, an evil act, and in these cases it’s very much a case of your side shooting first; these enemies don’t even fight back for the first round after you spring an ambush on you. They’re surprised, and insofar as your party is concerned at that point in time, they’re actually nonthreatening. But on the other hand the only way to meet your objectives in defeating the larger, hostile creatures, is to get the powerful equipment that they might be carrying. As I said, the actual narrative never makes a deal of this moral tension, but I found it to add another layer to the darker themes and aesthetics that characterise the game. 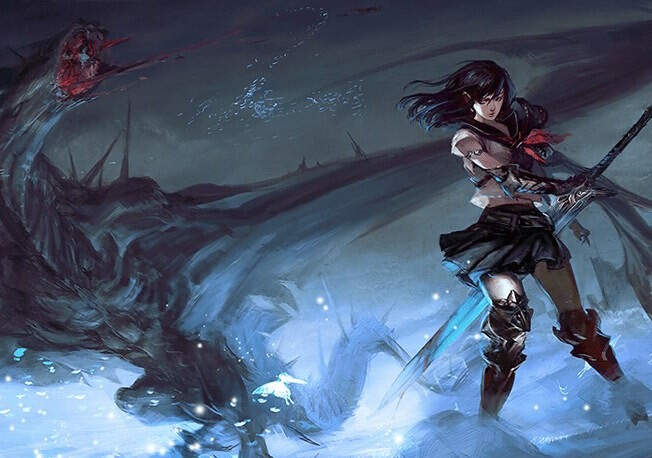 Actually, in terms of the explicit narrative, Stranger of Sword City is greatly let down by a poor translation. I can’t think of spelling or grammatical errors off the top of my head, but in far too many places the translation is a literal transfer of the Japanese into English, and the result is sentences that are annoying obtuse, needlessly complex, or clunky in their use of language. It’s too easy to mentally switch off while reading through dialogue, and so, as atmospheric as the game is, the story itself is something of a dampener on my enthusiasm. A more robust localisation effort would have done this one a great benefit; I had a brief look at the Japanese original and felt that the game was relatively poetic and compelling there. Related reading: Moe Chronicle is a very, very different dungeon crawler, but it's a lot of fun. Matt's import review (it's an Asia-only game). Explicit narrative aside, I found Stranger of Sword City to be a real winner of a dungeon crawler. 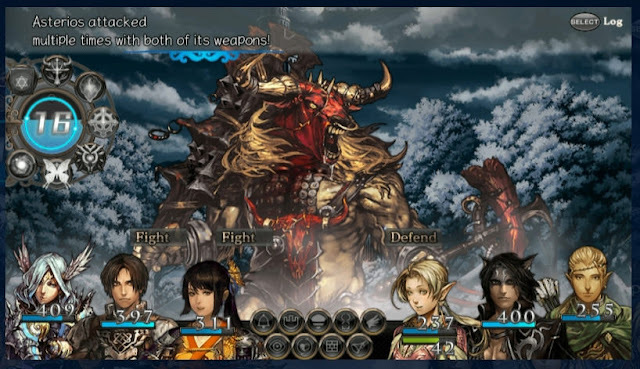 This is a genre that is well represented on the PlayStation Vita; Demon’s Gaze, Dungeon Travellers 2 and import titles like Moe Chronicles all do an impressive job with the genre already. 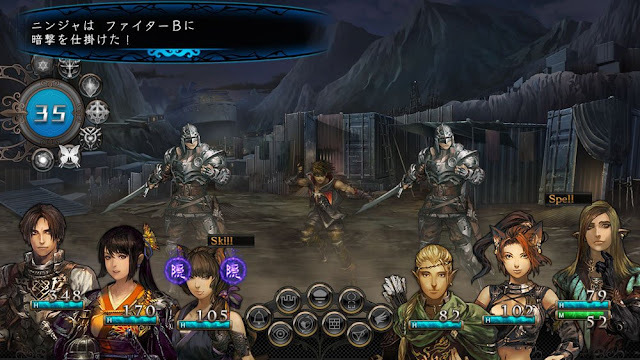 But Stranger of Sword City is something of a foil, being a darker and more melancholic alternative to the other bright, fanservicey titles. Throw in some unique twists on the base ‘crawler action, and what we have here is a game that is worth a hard, close look.